Justice Walter Nkanu Samuel Onnoghen the 17th substantive Chief Justice of Nigeria (CJN) was said to have sent his notice of retirement to President Mohammadu Buhari on April 4, 2019. The forced voluntary retirement came about a year and eight months earlier than the December 2020 due date of retirement, after he would have attained the 70 years age of retirement for justices of the Supreme Court. It is worthy of note also that the notice of retirement or resignation as the case may be was turned in barely a day after the National Judicial Council (NJC) recommended that he be compulsorily retired for misconduct. Onnoghen is standing trial on allegations of failing to declare some of his assets as required of the law for judicial officers. 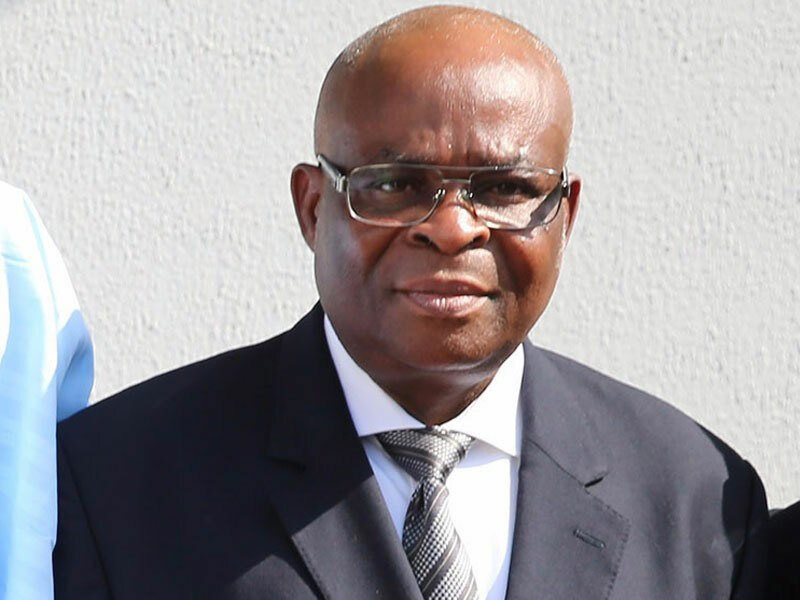 The Code of Conduct Bureau (CCB) acting on a petition filed by a non-governmental organisation, the Anti-Corruption and Research-Based Data Initiative (ARDI) had slammed a six count charge of non asset declaration against Onnoghen at the Code of Conduct Tribunal (CCT). He pleaded not guilty to the charge, went ahead to challenge the jurisdiction of the tribunal to entertain the suit both at the tribunal and as well as the Court of Appeal, Abuja. However the trial has continued with today (Monday April 15, 2019) slated for the adoption of final addresses by parties and fixing date for judgment and all pending appeals. When his trial at the CCT resumes today, it may be a little difficult to place his designation following his purported letter of resignation said to have submitted to the president. He had started the trial last January as the Chief Justice of Nigeria, but midway into the trial he became the suspended CJN and would probably be reffered to as the former CJN at the end of the trial. Onnoghen’s assumption to office as CJN was as dramatic as his exit. For reasons best known to president Buhari, Onnoghen was not his choice of CJN even though he was the most senior justice of the Supreme Court and also qualified to occupy the seat following the retirement of then CJN, Justice Mahmud Mohammed, who had attained the mandatory retirement age of 70 years on November 10, 2016. However, as fate would have it Onnoghen was then nominated as Chief Justice of the Supreme Court of Nigeria by Prof Yemi Osinbajo during his tenure as Acting President. While Onnoghen’s appointment was confirmed by the Senate of the National Assembly on March 1, 2017, he was however sworn in on 7 March 2017. It should be stated that Onnoghen rose through the rank. He had started his career at the Ministry of Justice, Ikeja, Lagos State between 1978-1979, as the Pupil State Counsel. He then entered into practice as partner in the Law firm of Effiom Ekong & Company, Calabar, between 1979 – 1988. He later became the Principal Partner/Head of Chamber of Walter Onnoghen & Associates, Calabar from the period of 1988 – 1989. Between 1989 – 1998, he was a High Court Judge of Cross Rivers State Judiciary. During his time as the High Court Judge of Cross Rivers State Judiciary he was made the Chairman of Cross Rivers State Armed Robbery and Firm Arms Tribunal and he held the post for three years between 1990 – 1993. Sometime in 1996 while still holding the post of High Court Judge of Cross Rivers State Judiciary, he was appointed the Chairman, Judicial Enquiry into the Crisis between Students of the University of Calabar and Obufa Esuk Orok Community, Calabar. In 1998, he was the Chairman, Failed Bank Tribunal, Ibadan Zone. Between the periods of 1992 to 2004, he served as the Judge, High Court of Rivers State while from 1998 to 2005 he served as the Justice of the Court of Appeal. Onnoghen, who at the time of his inauguration assured that he would make the independence of the judiciary his major priority, had initiated various reforms in the judiciary to realize this lofty ambition. However, barely two years on the helms of affairs at the third arm of government, Onnoghen threw in the towel in what some argue is in the interest of the judiciary. Only time would tell if he took the right decision and at the right time too. A lot of persons including legal practitioners and politicians have argued that he would have done so right from the onset the Federal government preferred the charge against him in January and avoided going through all the rigors at the CCT. Others however argued that the decision to clear his name and put the record straight was worthwhile adding that if nothing the whole world has known that he never had $3m in his accounts at any time nor owned 55 houses as claimed by the federal government. Also while a lot of people have claimed Onnoghen’s travail was more political than breach of the Code of Conduct for judicial officers, onnoghen apart from challenging the powers of the tribunal to entertain the suit accused the tribunal’s chairman, Danladi Umar of bias and as such should recuse himself from the trial. The travails of Onnoghen though initiated by the Anti-Corruption and Research-Based Data Initiative and the federal government were however compounded during the trial. Onnoghen had stayed away from his initial arraignment scheduled for January 14 and two subsequent adjournments on grounds that he was challenging the jurisdiction of the tribunal to hear the matter. While the tribunal had on January 22 adjourned hearing on the applications of onnoghen and the federal government till January 28, the tribunal on the following day, January 23, 2019 granted an exparte application ordering president Buhari to suspend Onnoghen pending the determination of the charge at the CCT and swear in the next most senior justice at the Supreme Court, Justice Tanko Muhammad to assume office as Acting CJN. Consequently, President Buhari acting on the orders of the CCT suspended Onnoghen as CJN and swore-in Justice Muhammad. To further compound the problems of Onnoghen, the CCT boss on February 13 ordered for his arrest for failing to appear before the tribunal for his arraignment. Even when the embattled CJN had approached the Court of Appeal, Abuja to challenge his suspension order and other rulings of the tribunal, Umar relying on the spirit of the Administration of Criminal Justice Act (ACJA ) 2015 insisted trial must go on and on a day-to-day basis. After the federal government closed its case against Onnoghen after calling only three out of the six witnesses listed in the charge, Onnoghen through his lead counsel had filed a no-case-submission stating that the witnesses so far produced were unable to prove the charge against the defendant. But ruling on the no-case-submission, Danladi had held that the confessional statement of the defendant that he made a mistake by not mentioning his five accounts in Standard Chartered Bank was enough evidence to warrant that he enters his defense. Umar said he would not allow technicalities to arrive at a conclusion in the trial of Onnoghen. According to the chairman, the defense rather than allowing the defendant to take punishment due to him for his confessional statement was out to prevent the tribunal from doing its job. He subsequently adjourned till Monday April 1, for Onnoghen to enter his defense, rebuffing all entreaties by Onnoghen’s lawyer for a short adjournment to enable his client prepare effectively for his defense. Also when Onnoghen closed his defence after calling on just one witness, who testified and also tendered Onnoghen’s asset declaration form for 2010, the CCT declined to grant the 14 days period his lawyer requested for to file his written address, noting that the defence has only three days to file his address and similar days accorded to the plaintiff. He subsequently adjourned the matter to April 15 for final argument and possibly fixing date for judgment. Outside the tribunal, another dilemma confronting Onnoghen is the Court of Appeal. The court on January 30, 2019 in a ruling on an application by Onnoghen refused to stop the CCT trial. However, the appellate court has since February 27 reserved ruling on three appeals filed before it by Onnoghen. Awomolo also regretted that “whereas political matters and election matters were treated with dispatch, and judgment delivered within hours, the appeal of the Chief Justice of Nigeria, six weeks after argument was ordered to be kept away in the file. He consequently called for amendment of the constitution to place the Code of Conduct Tribunal under the judiciary to give it its much needed independence, impartiality and to avoid interference from outside the court. While he argued that corruption cannot be fought successful with corrupt institutions, he said, “It is injustice to inflict corrupt procedure on innocent public officers. God will not allow corruption to consume our nation. The end should not justify the means; the means should justify the end. “The practice of propaganda lies and media trial will encourage injustice. Truth will exhalt our nation, but propaganda and lies will enthrone injustice. Lies and injustice is a reproach. Let justice be done even if heaven will fall and let the rule of law be the only means to justify the end”, he said. The last stroke that broke the Carmel’s back in the case of Onnoghen arguably may have come from the National Judicial Council (NJC), the body that is saddled with the responsibility of judicial officers. Onnoghen had anchored his case on jurisdiction on the ruling of the Court of Appeal which held that no serving judicial officer would be arraigned before a court of law without first being investigated by the NJC. When the news of the scheduled arraignment of Onnoghen broke on January 12, 2019, the NJC kept mum. Even when the CJN was suspended by the president on January 25, 2019 and Justice Muhammad sworn-in as Acting, the NJC still did not react. Days after the international community including the United Kingdom alleged muzzling of the judiciary in Nigeria, the body met and announced that a committee has been set up to look into the various petitions written against both Onnoghen and Muhammad. 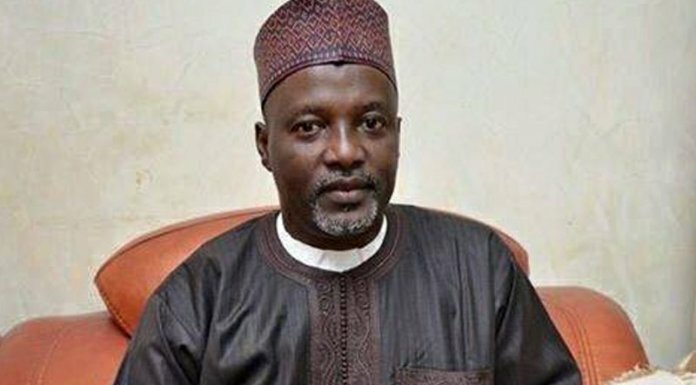 However, the body arising from its meeting of April 3 while stating that it “refrained from taking any decision on the issue of asset declaration charges on the grounds that the issue is currently in court” said it “however reached a decision on the petition of the Economic and Financial Crimes Commission (EFCC) and others”. The body under the interim leadership of a former President of the Court of Appeal in a unanimous decision was said to have agreed that Onnoghen has lost the moral authority to continue as CJN with the litany of allegations bordering on misconduct. It was also said that the council concluded that Tanko Muhammad did no wrong by making himself available to be sworn in as acting CJN without the recommendation of the NJC. A statement from the Director of Information, NJC, Soji Oye, disclosed that the body’s recommendations have been passed to President Muhammadu Buhari, adding that “Council also resolved that, by the nature of the decision reached, it would be inappropriate to publicize it before conveying it to Mr. President”. It was therefore no surprise that Onnoghen had to throw in the towel knowing that he has lost protection from his very own constituency.